"Just 4-5 days back, a leopard took away my pet dog from near my house", gribbed Dhyanchand, one of inhaiatant of this sleepy little hamlet of Kharungcha, as we striked a conversation at the gate of the Great Himalayan National Park. "Just 4-5 days back, a leopard took away my pet dog from near my house", gribbed Dhyanchand, one of inhaiatant of this sleepy little hamlet of Kharungcha, as we striked a conversation at the gate of the Great Himalayan National Park. "It's a very small village", he continued. "It doesn't have more than 10 houses..But its serene and beautiful indeed". "Come, I'll show you my village". It's just a 15 minutes walk from here. And so we made a move. Chatting about the park and the variety of flora and fauna found. 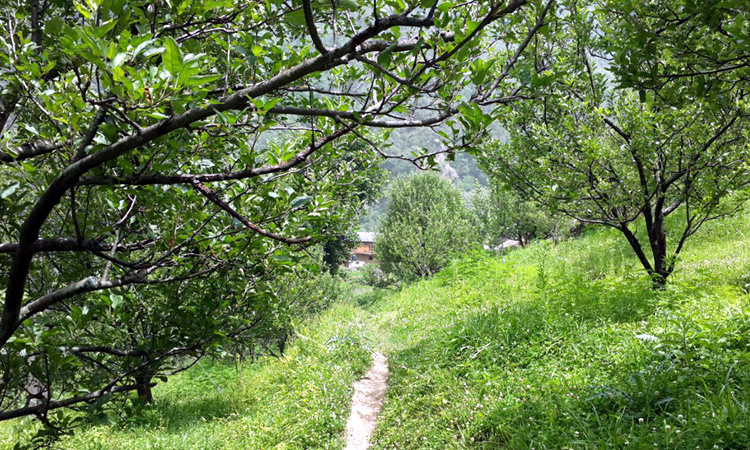 Walking through a beautiful thickly forested stretch, and leaving behind a small yet stunning waterfall on the way, we got closer into the vicinity of the village. The first glimpse said it all. The village was still a few hundred meters away, but the wooden houses could be seen through the blanket of trees surrounding the narrow trail. 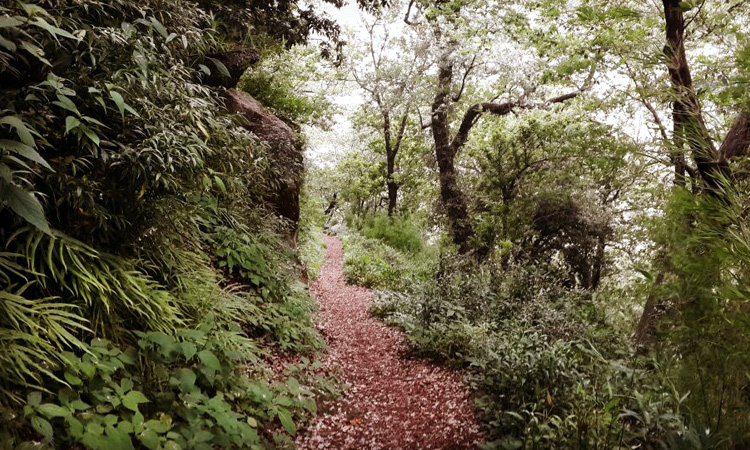 I could feel the silence in the air, occasionally perturbed by the ruffles of the leaves, or the chirping of birds. Kharungcha is small. Just a cluster of few houses close to each other. 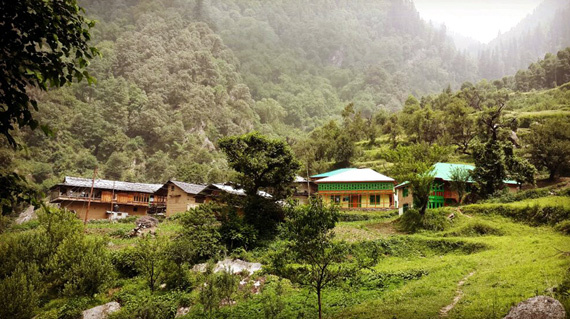 The village is virtually in the lap of the GHNP, with just the mighty peaks, thick forest, and the friendly inhabitants for company. Are you a 'Kharungcha' kind of a person?? Do you wish to wish to remain virtually cut off from the rest of the world?? Do you enjoy having a conversation with silence?? Do you wish to be transported to a place where time has stood still?? 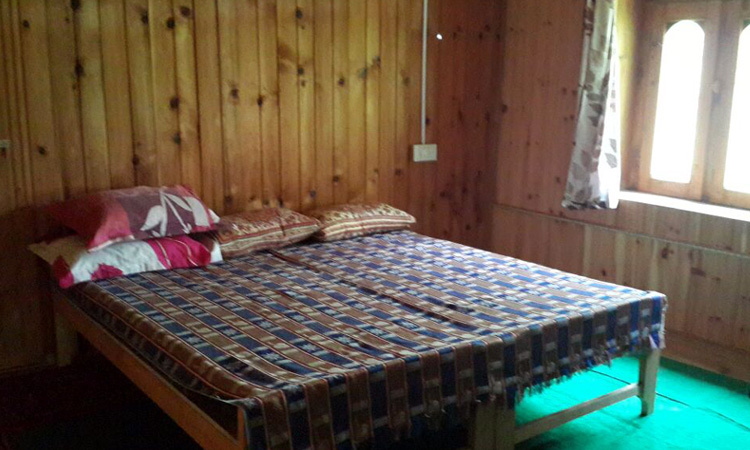 Do you wish to lead a simple mountain life with no luxury, but only to meet the simplistic needs of life??? Then you have come at the right place!!!!! First things first..There is no road connectivity to Kharungcha. 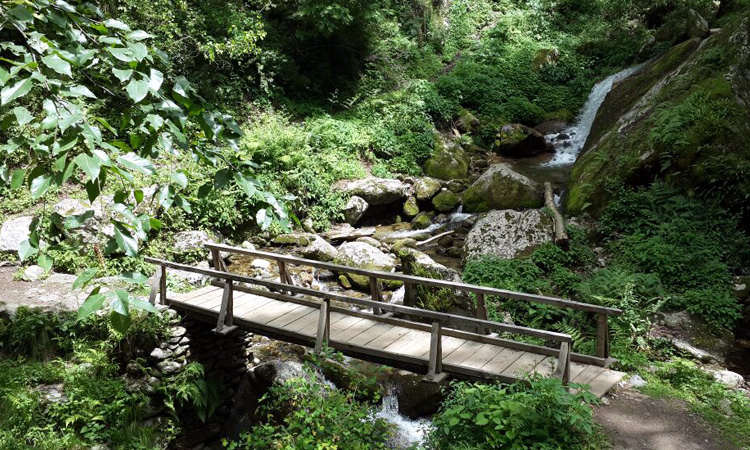 The nearest town is Gushaini, from where you need to undertake a moderate trek along the Tirthan river to reach here. An average person would take close to 2.5 hours to complete the journey. The village is just a 15-20 minutes walk from the main gate of the GHNP. 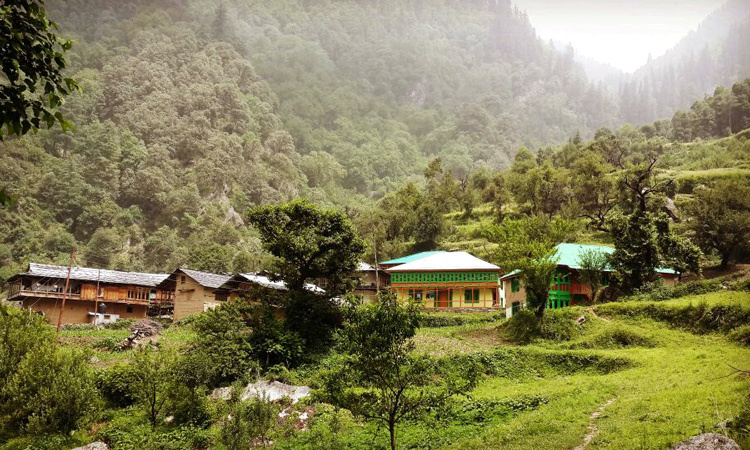 Gushaini is a big village in the Tirthan Valley of Himachal Pradesh. Big, if you compare it too Kharungcha. Tiny, if you speak generally. 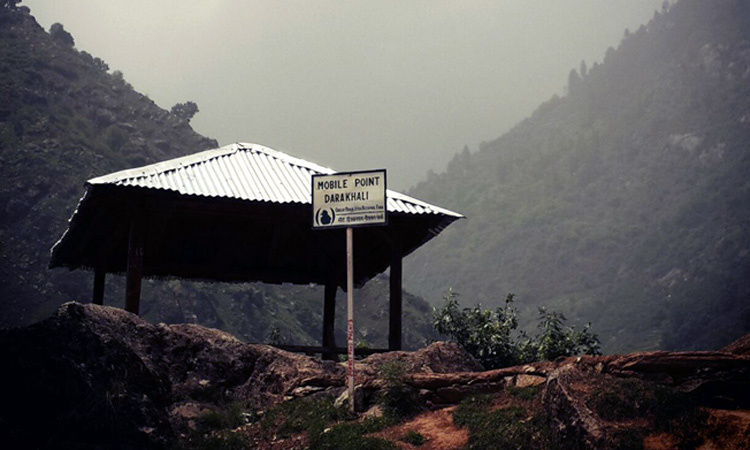 Known as the starting point for the trek to the Great Himalayan National Park, it is well connected with other towns/cities. 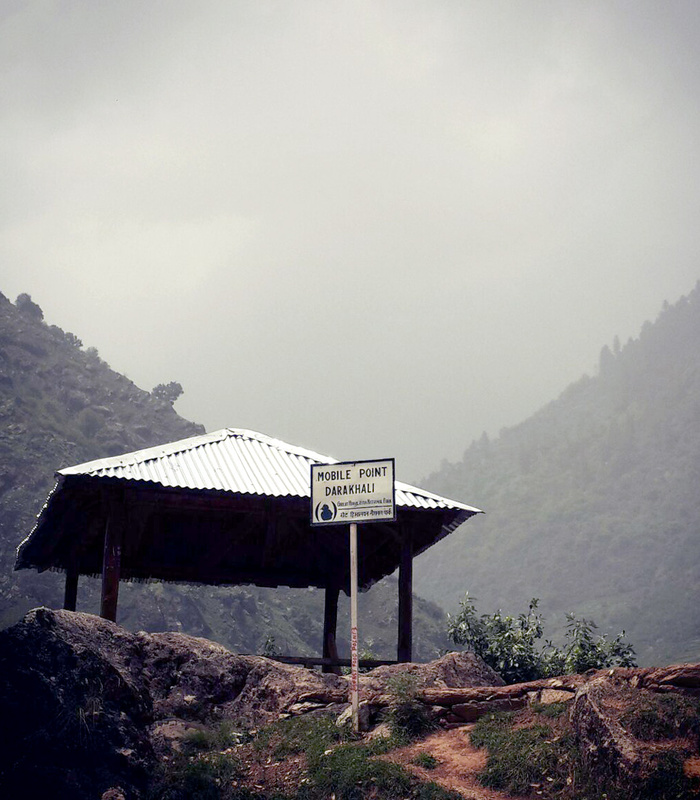 From Delhi, take the Manali highway. When you reach at the entrance of the Aut tunnel, you could see a road going straight with large hoardings of Great Himalayan National Park. Take this road, and you will reach a town called Banjaar in an hour. 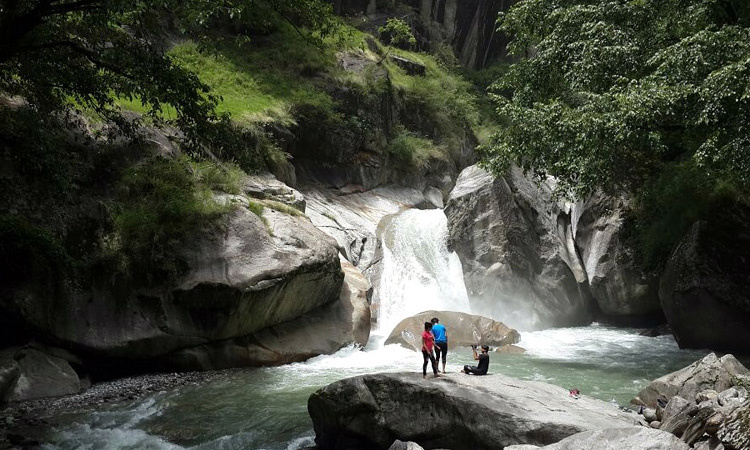 From Banjaar, Gushaini is a beautiful drive of close to half an hour along the Tirthan river. 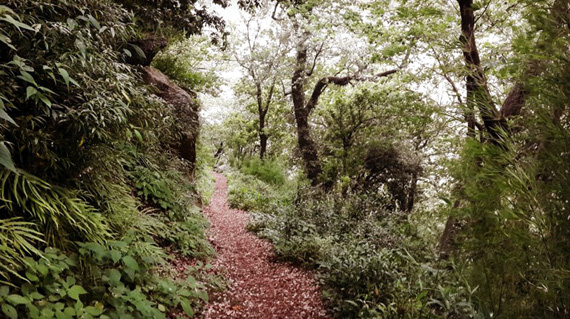 A guide will be present at the iron bridge in Gushaini, to accompany you till Kharungcha. 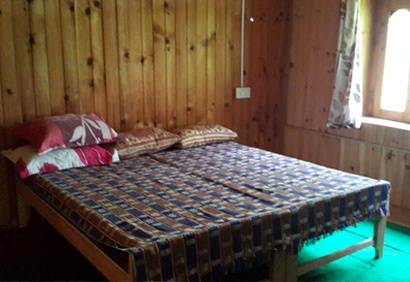 - Guide from Gushaini to Kharungcha and return.